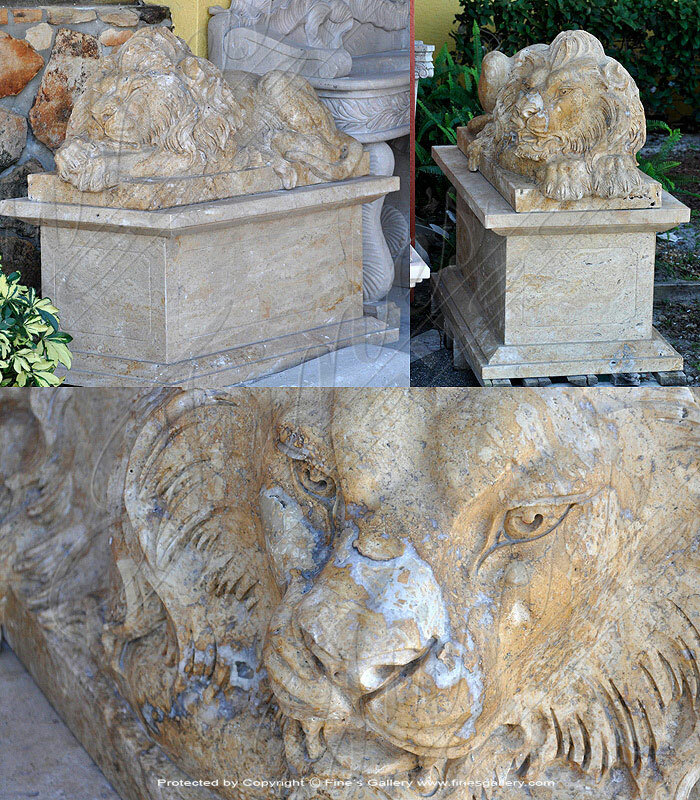 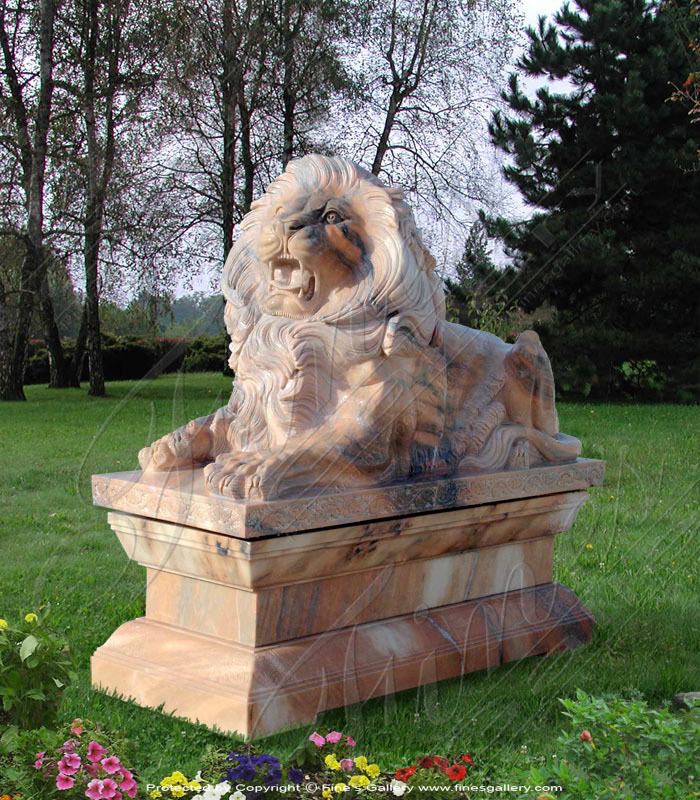 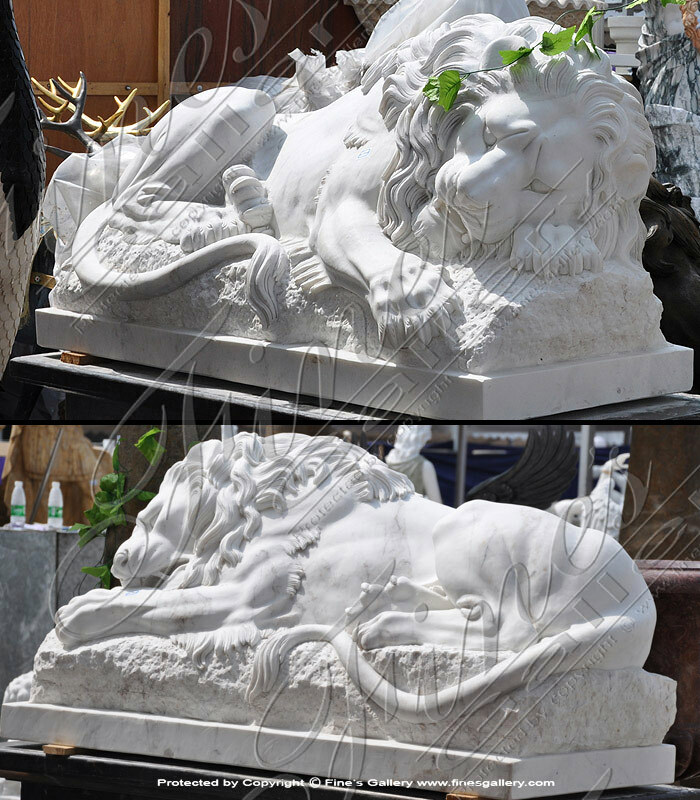 Beautiful hand marble lions and bases included. 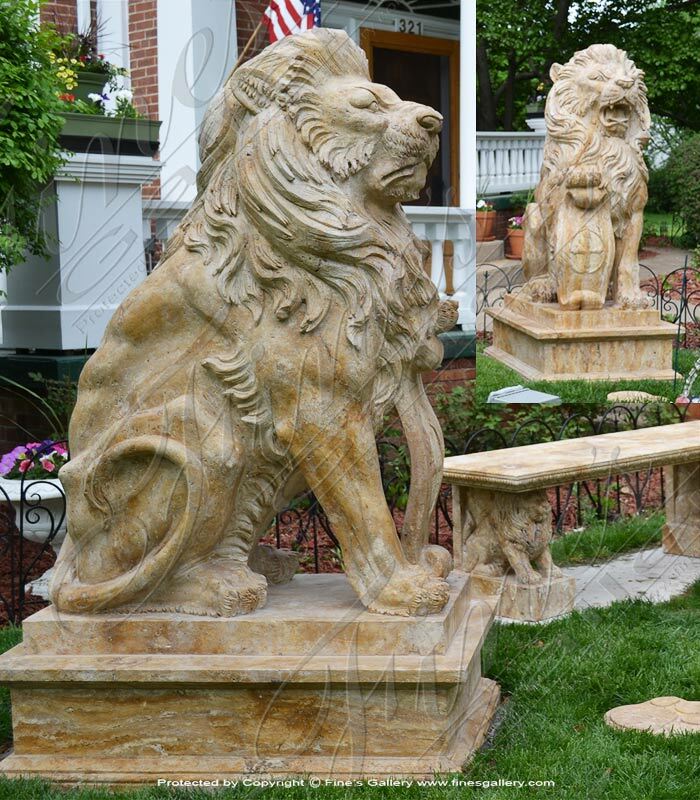 The details of these lions are strikingly beautiful. 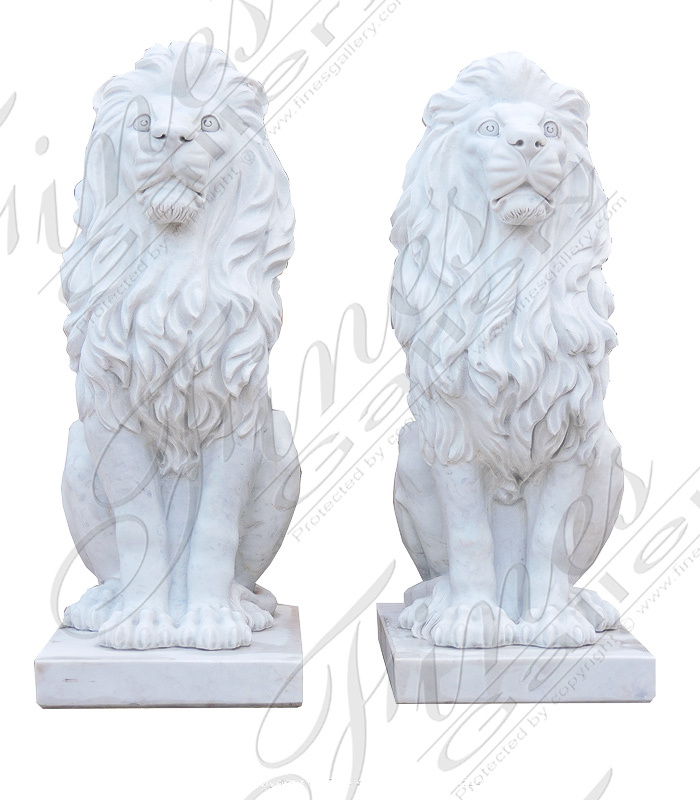 All facial features and body details are paid close attention to. 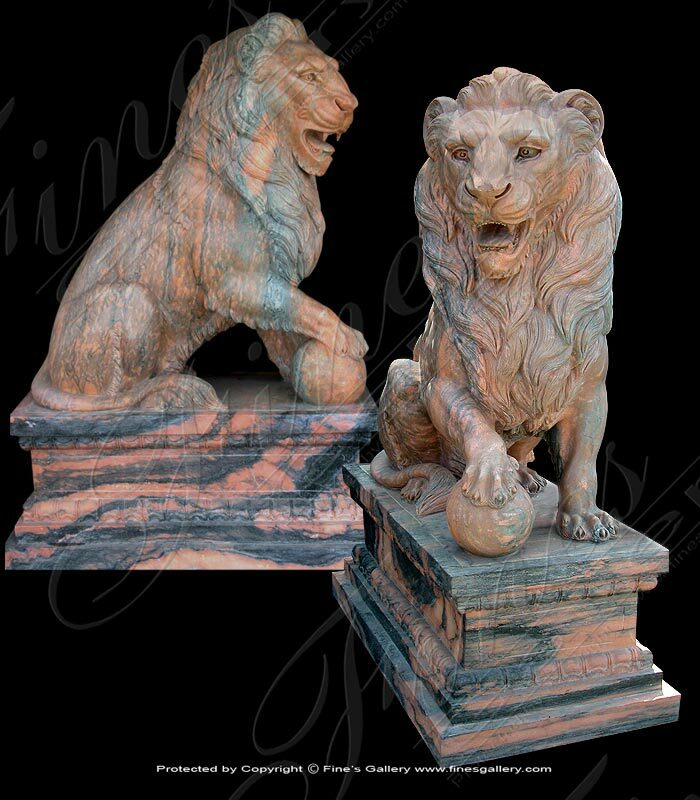 These are top quality hand carved marble, please accept no imitations! 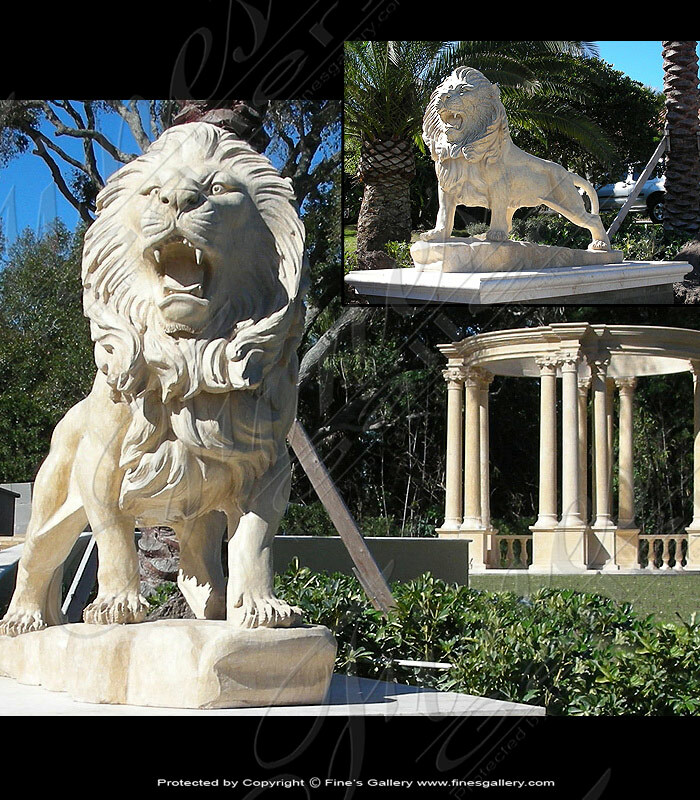 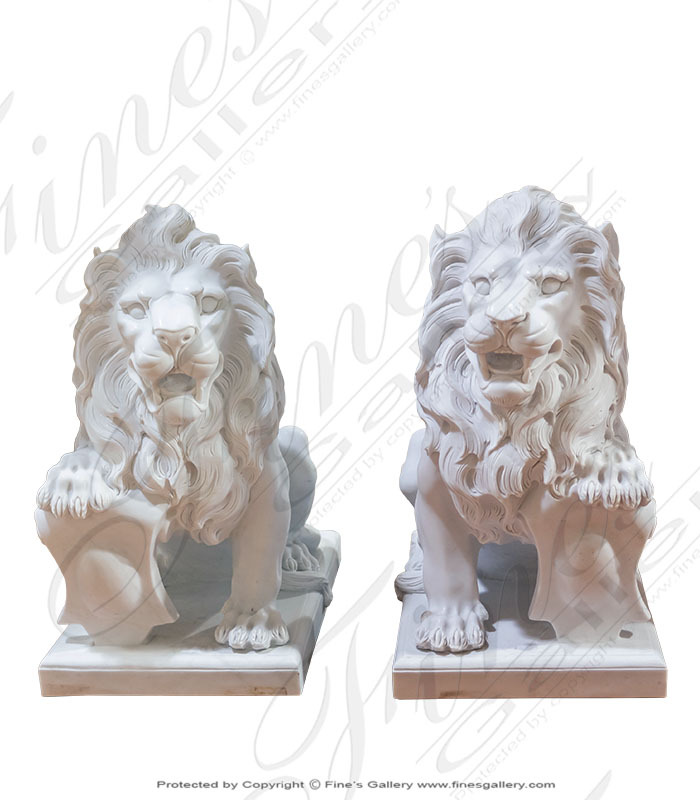 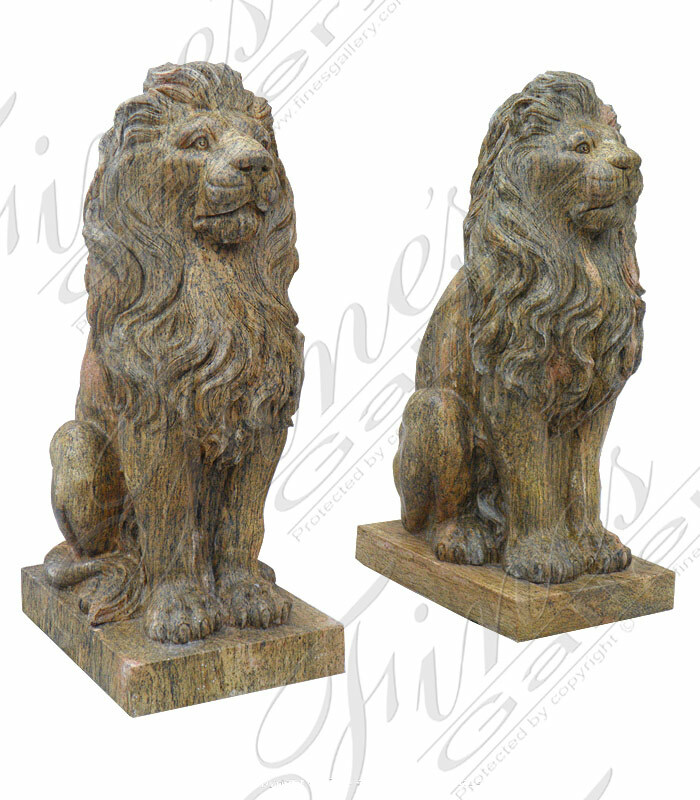 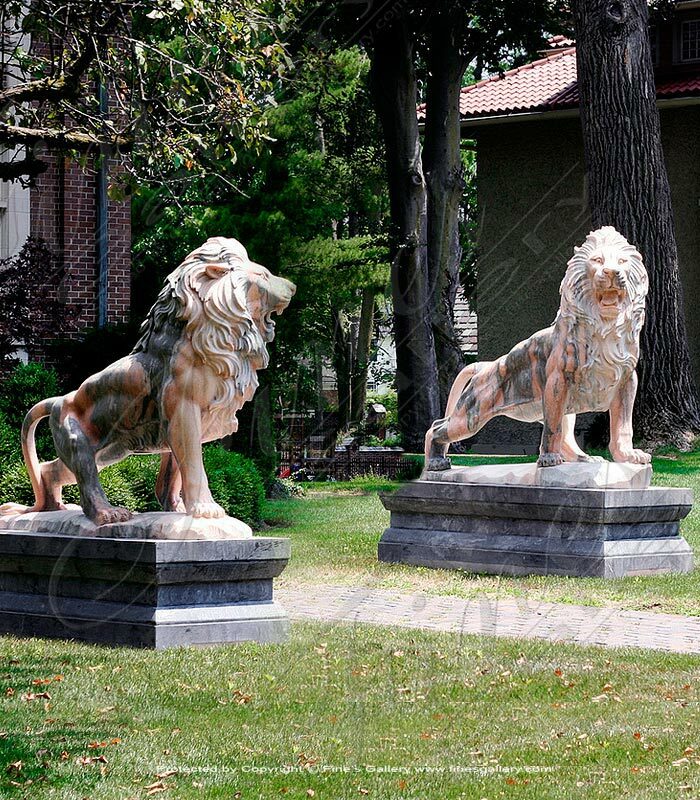 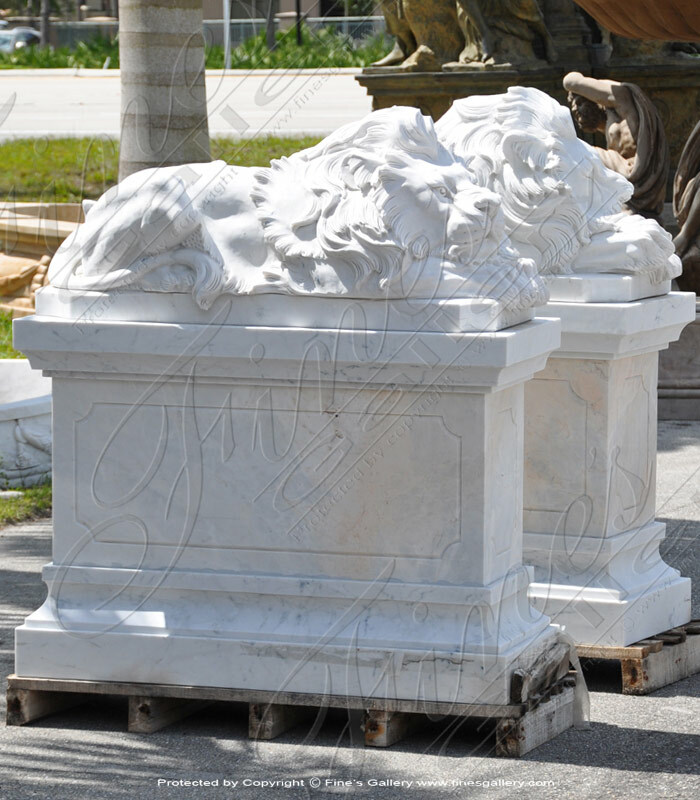 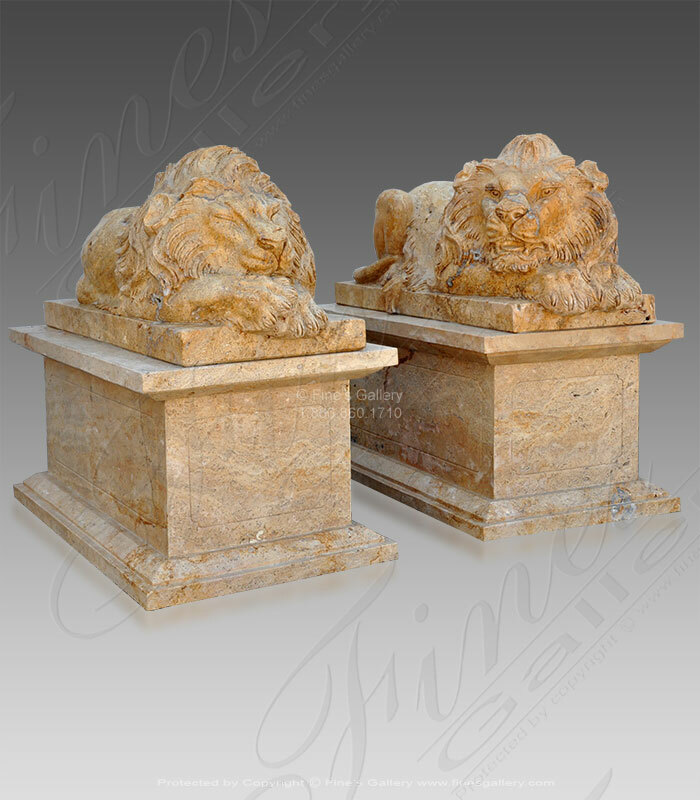 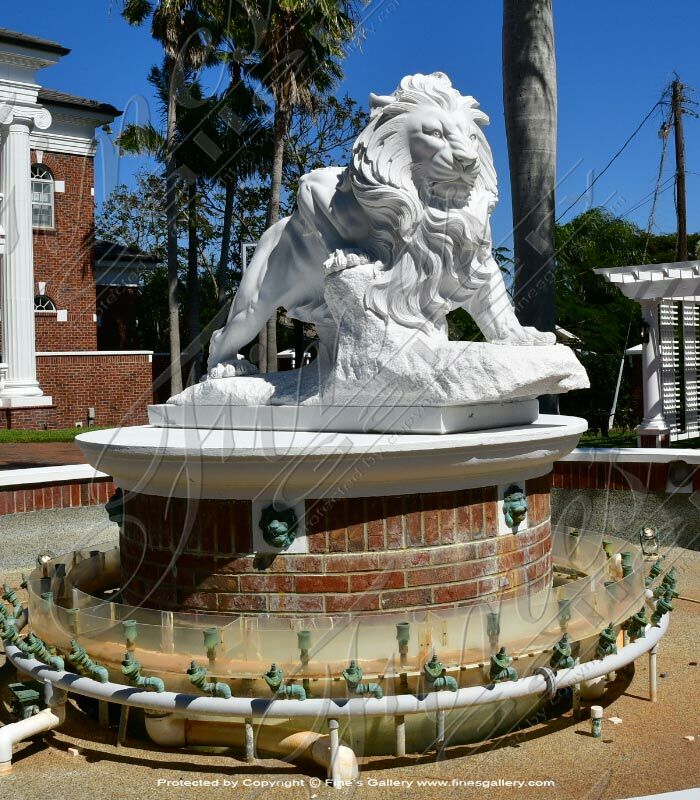 This regal marble lion pair has been carved from solid blocks of pure white marble. 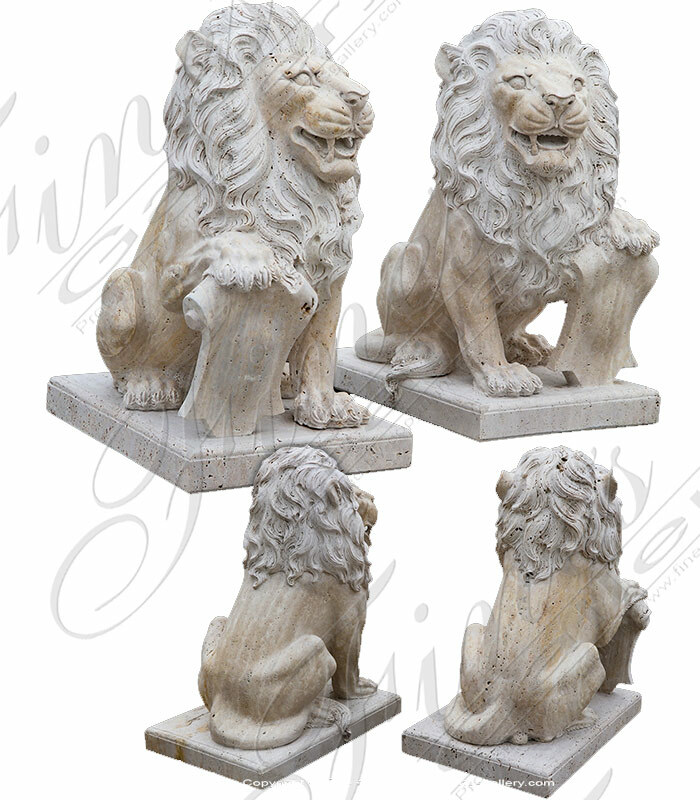 These lions display courage as they protect their territory from unwanted strangers. 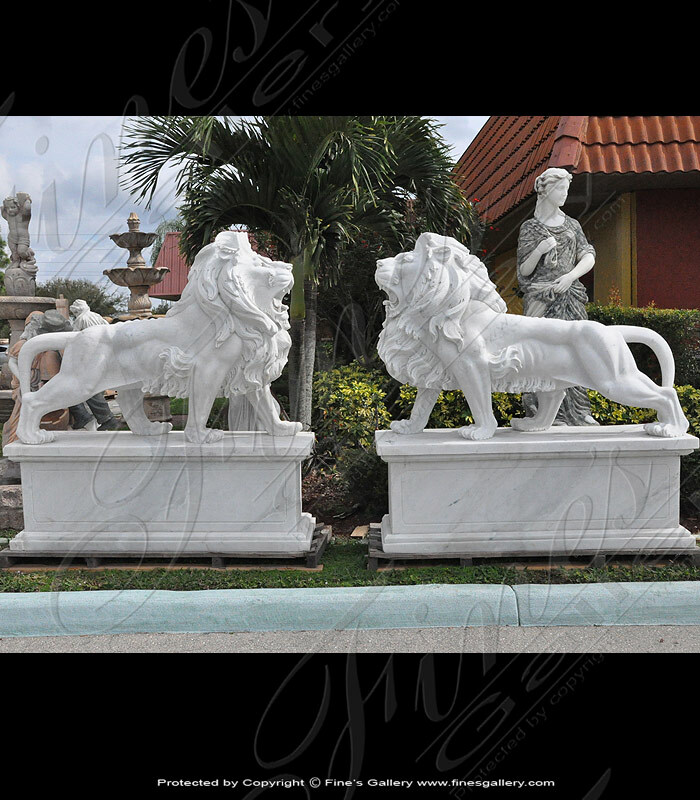 With a powerful stature shown to scale, fully depicting their majestic aura. 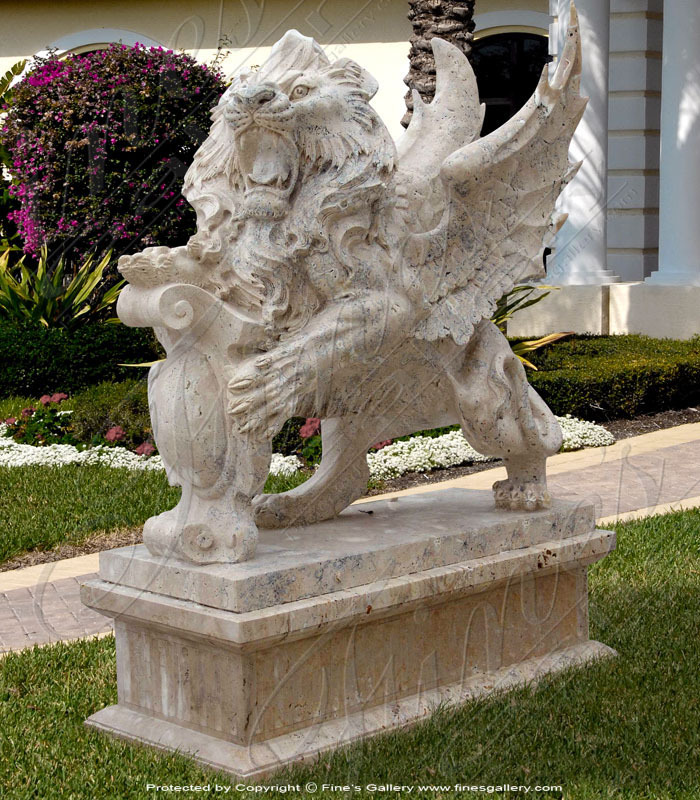 Hand carved from a breathtaking dark Rosetta marble.